There’s a saying in the English language, ‘Practice makes perfect’, and IELTS students should know, it’s really important to practice. And this is particularly important with speaking. Just speaking English every day will help improve your IELTS Speaking Band score. This doesn’t mean speaking with a teacher, an IELTS tutor, or a native English speaker, this means speaking English with anyone and everyone. If you’re lucky enough to have lots of IELTS students around you to practice with then that’s great. Take the opportunity to speak together as much as possible as often as you can. However, if you’re not in an IELTS class or you can’t find people near you that want to speak or practice speaking English with you, what do you do? In the past, there wasn’t much you could do other than speaking to yourself. This is still good practice, especially if you record yourself speaking and listen to it later to check your grammar and your pronunciation. Nevertheless, IELTS is a measurement of your ability to communicate in English, so it’s best if you can find someone to speak to who will speak back to you. This will improve your ability to communicate, it will help you become more fluent and comfortable, and you can try out new vocabulary you’ve learnt and talk about subjects you may not have talked about previously. Who do you talk with? With the introduction of faster internet speeds and webcams, there are now thousands of people out there that want to practice their English speaking as much as you, but where do you find each other? Here’s a list of places you could use to find speaking partners online. Speaking 24 is a very simple website where people that want to practice their English can come together. Simply go on the site, choose a nickname and add some details about yourself such as your English level, Skype ID and country as well as some subjects you’d like to talk about. Then you can wait and see if anyone wants to chat or choose one of the people waiting. italki language exchange – ever considered this? There are probably a lot of people out there who would like to learn your native language as much as you’d like to learn English! Go on italki’s language exchange section, add your details and see if there’s someone out there that wants to exchange language teaching. This is a great way to practice your speaking for free with someone that might be able to give you some very good feedback and you can help someone improve themselves too. Facebook provides an excellent place for people to find speaking practice partners. 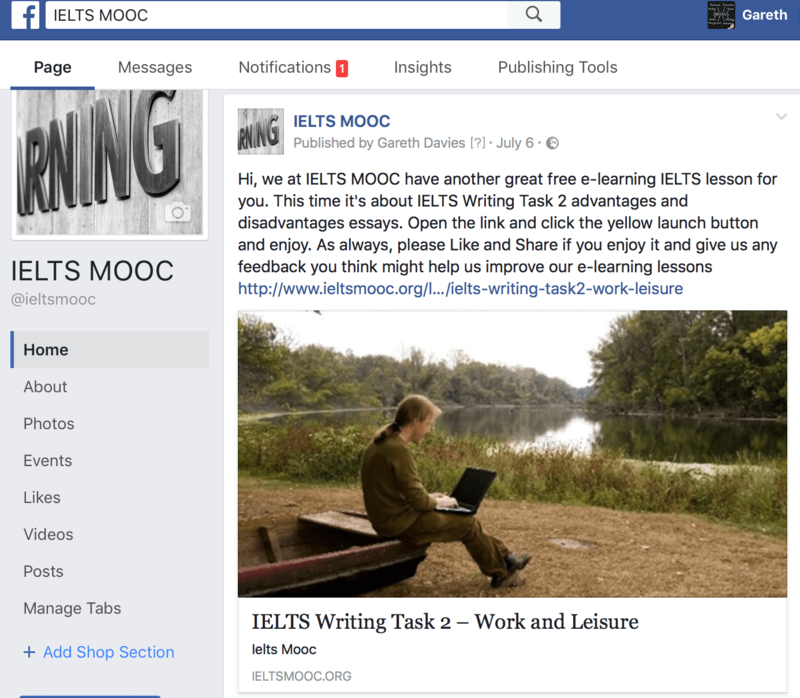 Simply find a Facebook group where other learners might see your post such as IELTS MOOC’s Facebook group and tell the other members your Skype ID. Babel Village is another language exchange where you can find speaking practice partners from all over the world that share your interest in improving their speaking skills. First create your account. Then create a profile page. After that, browse the exchange or practice offers and send language exchange invitations. 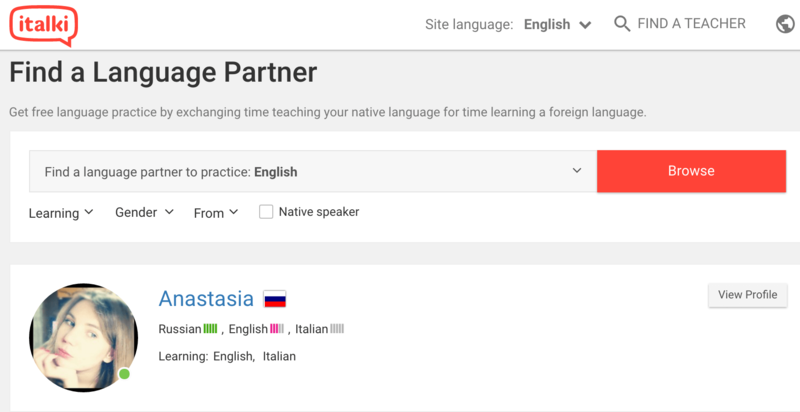 Coffee Strap is a website and set of mobile apps that help you find language speaking partners while providing you with updates on your progress and your interactions through the use of software that identifies your level and improvement. 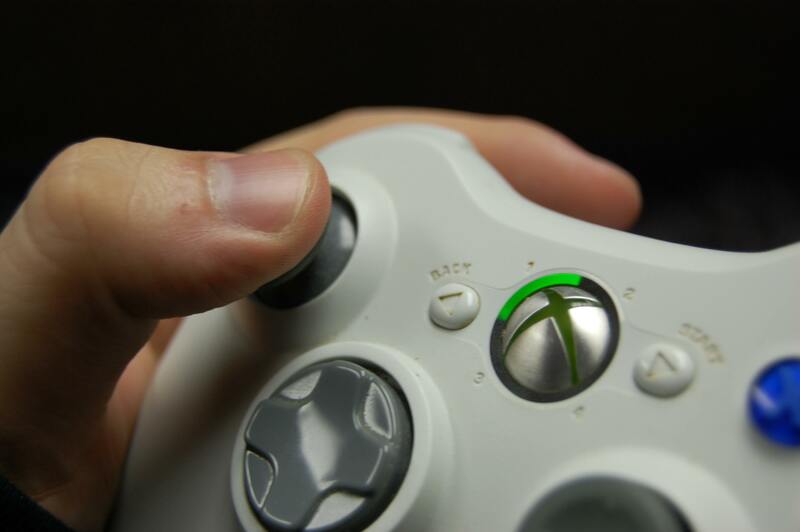 Like playing videogames? Why not play with people from other countries online instead of just playing with your friends or gamers from your own country. It’s fun and it’s real communication where you can react to things quickly, describe your surroundings, and give and receive instructions. This is excellent for increasing your fluency. Meetups are a growing movement all over the world. There are many meetups on many different subjects. Some of them will be language exchange meetups for people to come together and help each other practice English and other languages. However, maybe you’d like to talk to people about starting a business, movies, or a wide range of other subjects that people organise Meetups for. What is important is that you’re speaking and speaking about anything and everything. Practice speaking every day but make it fun. Don’t think of it as studying, think of it as a way to get to know someone, to play a game better, to learn about a new interesting subject. After all, improving any language is like opening a door to a world conducted primarily in that language. The key to that door is practice, practice, practice. For more advice on how to improve your speaking, check out our IELTS Speaking page.